For sitting, lying or simply relaxing – the original beanbags by Fatboy are versatile. For all people finding the standard cover too rough or glossy, the manufacturer from the Netherlands can now offer a stonewashed variant. The stonewashed cover was developed by Fatboy in light of the trend towards softer furnishings. The stonewashed fabrics are robust and washable too, but softer in look and feel. The Fatboy stonewashed beanbag is not as shiny as the standard covers and feels softer, similar to jeans or t-shirts. Like the latter, it can be cleaned in the washing machine at 30°C. Made of 100% cotton, the stonewashed fabric ensures a vintage appearance. The stonewashed editions appear more classic than similarly shaped and sized standard ones. All the other qualities remain unchanged: the Fatboy matches, depending on colour, nearly any ambience in living and bedrooms. 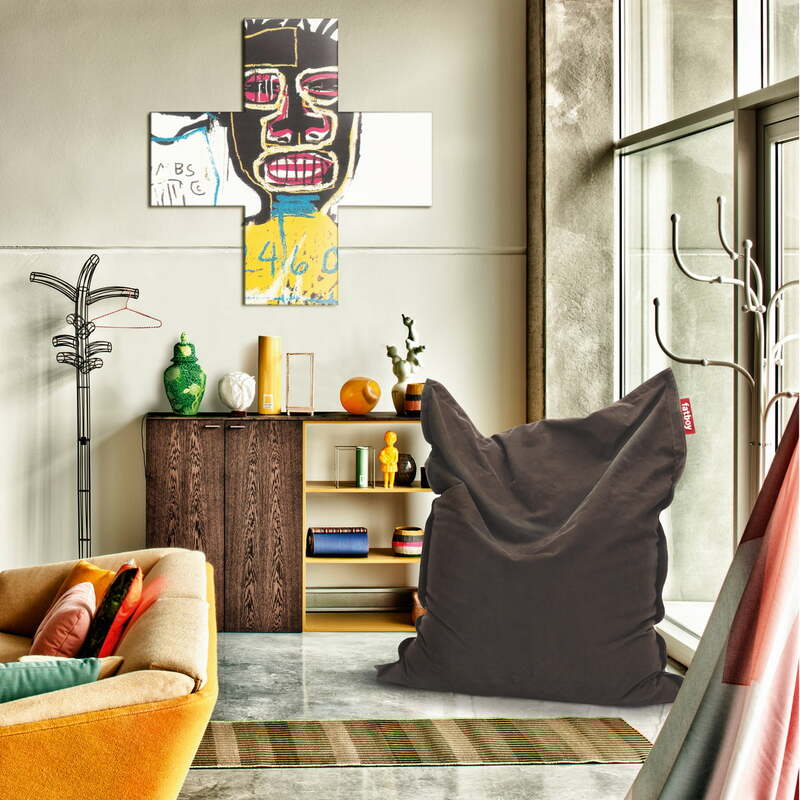 The beanbag’s use is versatile – as a lounge bag or armchair in a student flat, an opportunity to relax in the office, a ‘comforting’ pillow for children or even a spare bed for unexpected guests. It is easily and flexibly adapted in its form thanks to high-quality EPS beads. The Original Stonewashed beanbag by Fatboy is available in different colours. 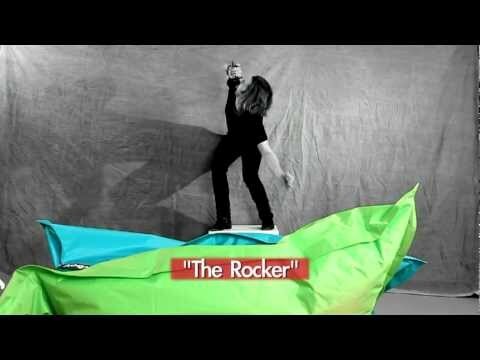 Since the Fatboy beanbag has its own character just like its owner, it is available in a wide range of colours. From subdued to bright colours, you can make your own choice and that's why the stonewashed beanbag is perfect everywhere. The stonewashed beanbag feels so soft that you would prefer to not get up again. The cover soothes the skin, because it is made from 100% high-quality, super soft and durable cotton. 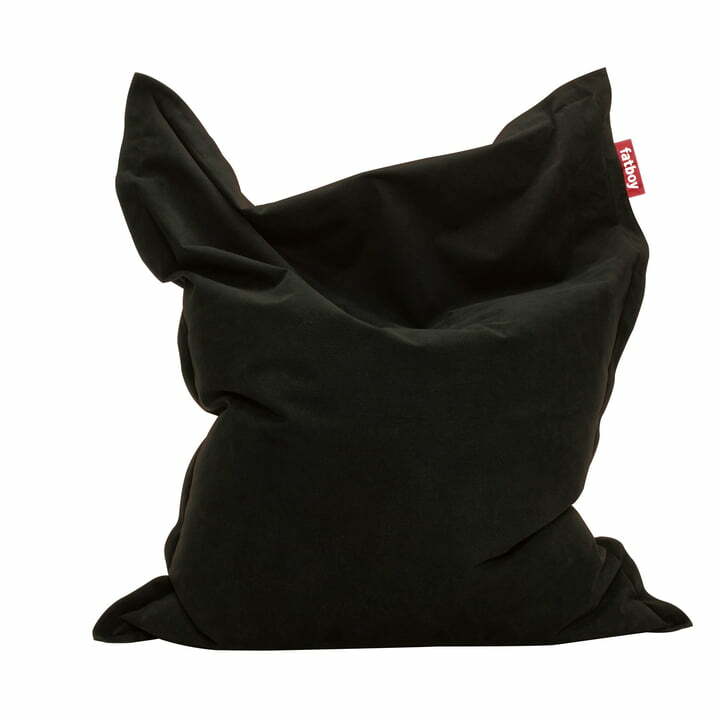 Individual product image of the original beanbag stonewashed by Fatboy in black. The cover is made of 100% cotton and is filled with polystyrene balls. 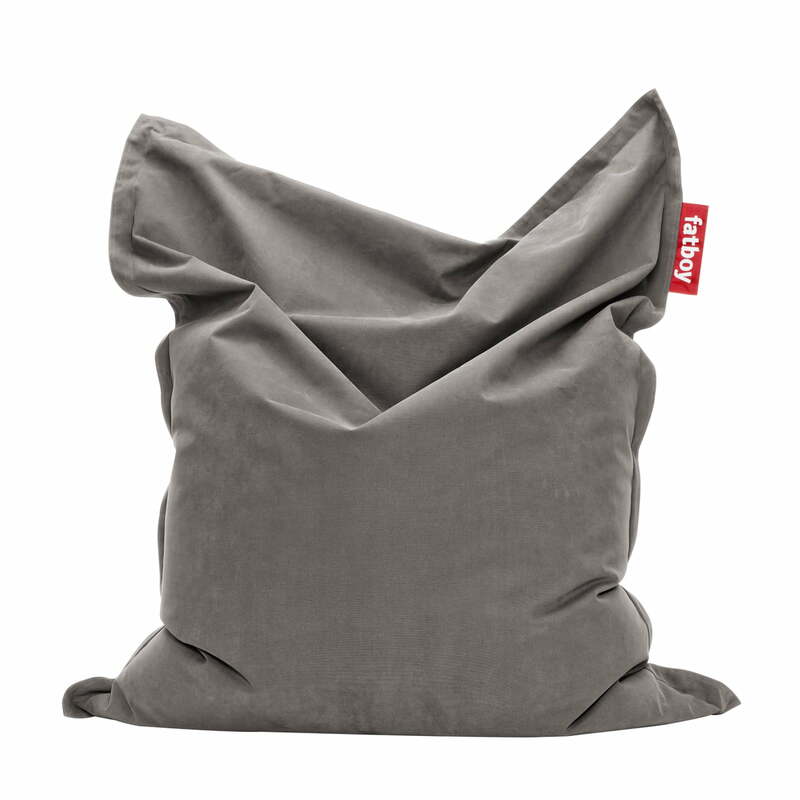 Individual product image of the original beanbag stonewashed by Fatboy in taupe. The cover is made of 100% cotton and is filled with polystyrene balls. Thanks to the high-quality EPS bead filling, the stonewashed beanbag by Fatboy is easily and flexibly adapted and adjusts to the body anew every time. For people who find the standard cover too rough or too shiny, the Dutch manufacturer now has stonewashed variants on offer. The stonewashed fabric was developed by Fatboy as part of the trend towards softer upholstery in seating furnishings. Also robust and easy to wipe off, the stonewashed fabrics are softer to look at and feel. 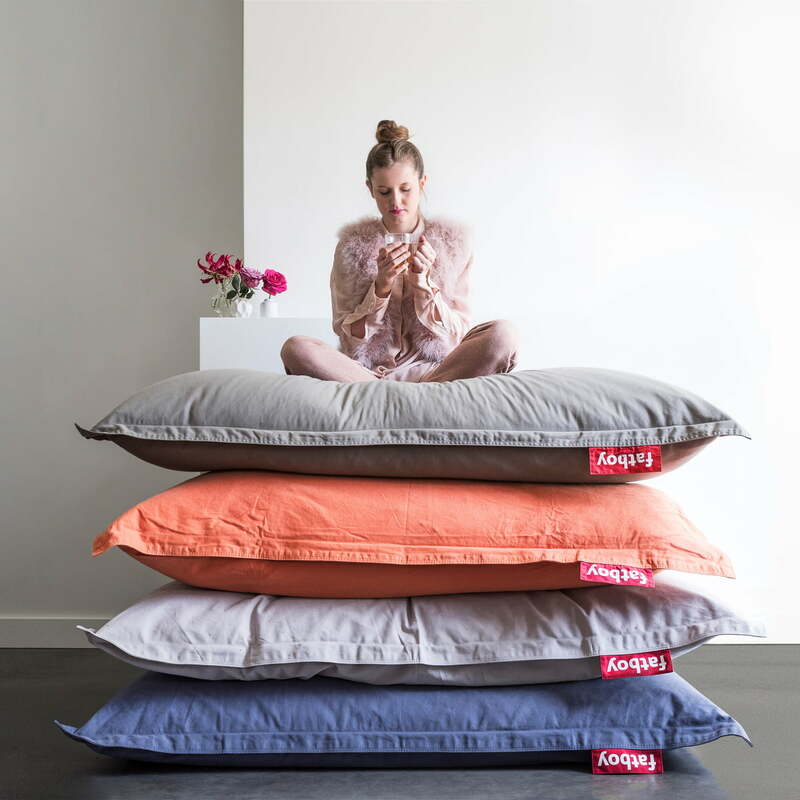 The beanbag can be used versatilely - as a ‘comforting’ pillow for people big and small or even as a spare bed for unexpected guests or for an unplanned afternoon nap. Made of 100% cotton, the stonewashed fabric creates a vintage-like impression. While retaining their size and shape, Fatboy's Stonewashed sacks look more classic than the standard versions.